Greenwood Common includes eight houses encircling a shared lawn (or “common”). 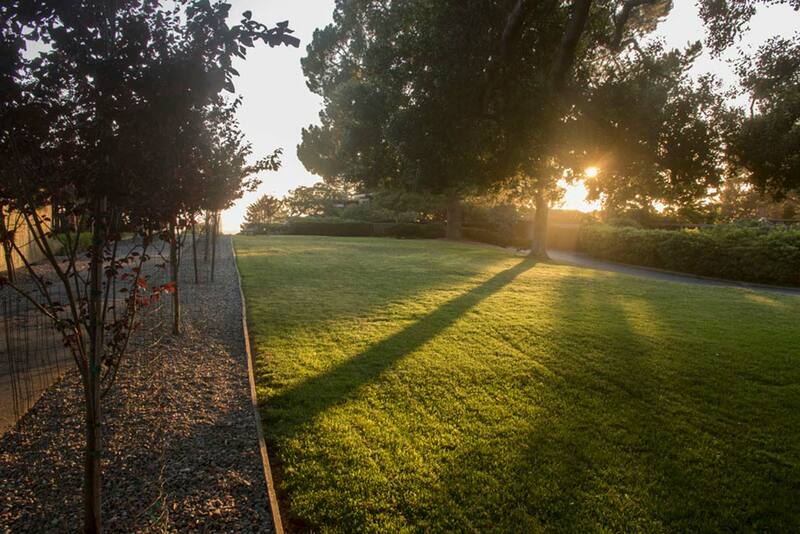 Neighbors use the communal landscape for passive recreation: picnics, playing with their dogs, or reading on a blanket. The concept for the community is largely attributed to architect William Wurster, who was influenced by his early years in New England. 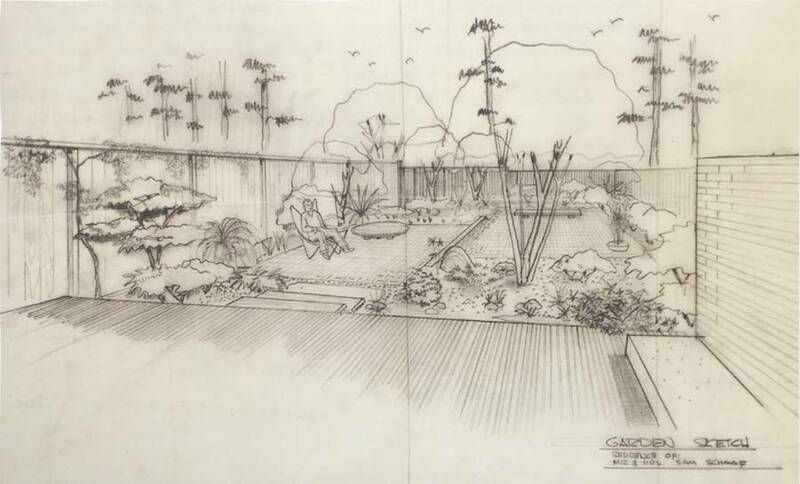 Wurster consulted with Halprin during the early planning stages of the project, and later hired him to complete a landscape plan for the residential enclave. 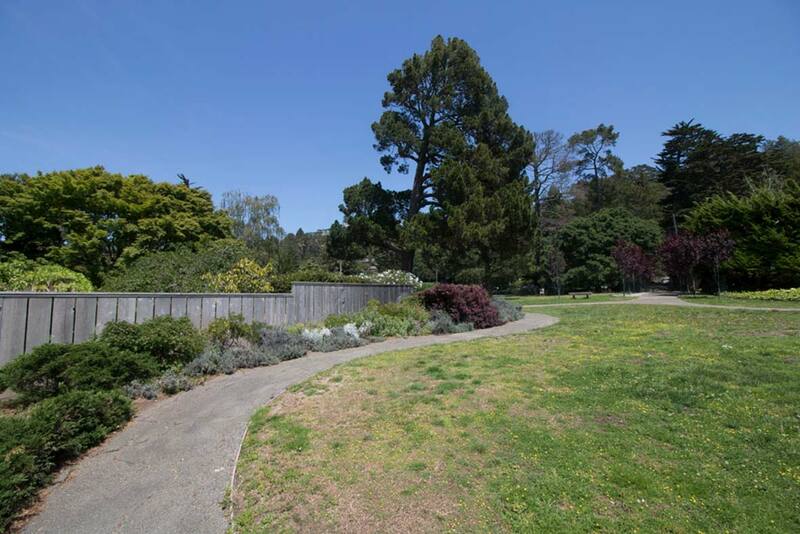 While Greenwood Common is recognized for its incorporation of shared open space, residents also have private gardens attached to their houses in keeping with Wurster’s belief that a combination of public and private outdoor space was ideal for modern living. 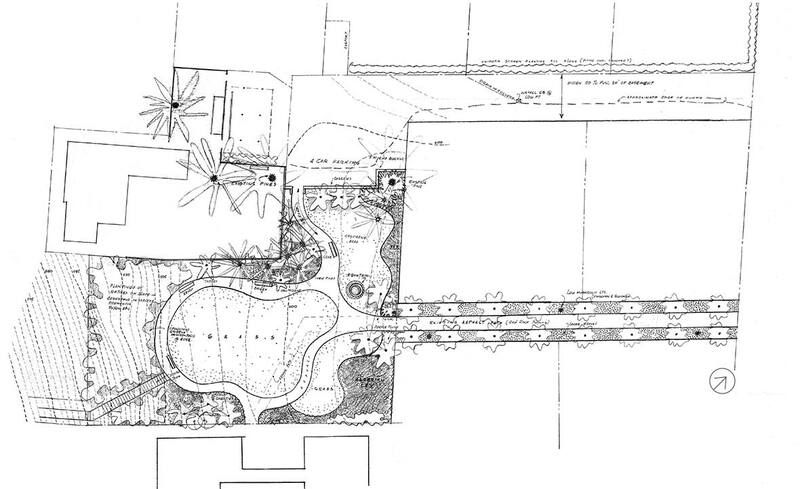 Halprin designed four of the private gardens at Greenwood Common in addition to the shared communal lawn. 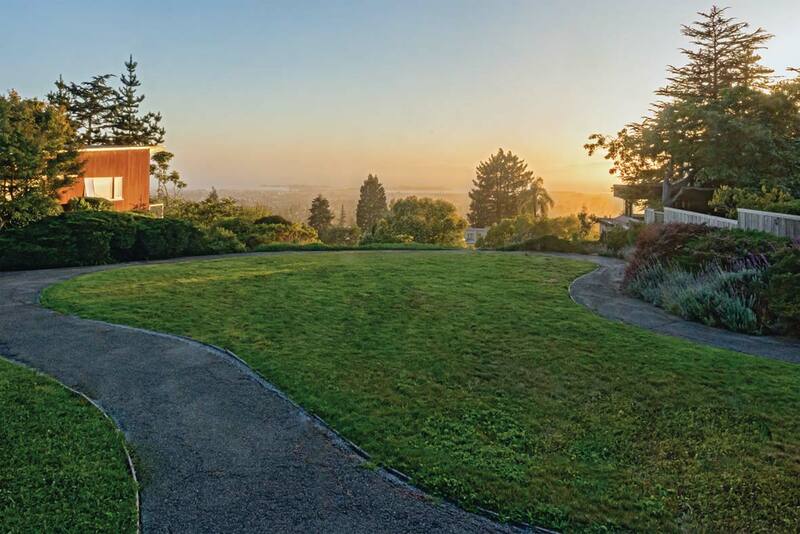 The subdivision is notable for the number of theorists and designers who worked on the site in addition to Wurster and Halprin, including but not limited to: Rudolph Schindler (architect), Joseph Esherick (architect), Donald Olson (architect), Harwell Harris (architect); Geraldine Knight Scott (landscape architect); and Mai Arbegast (landscape architect). 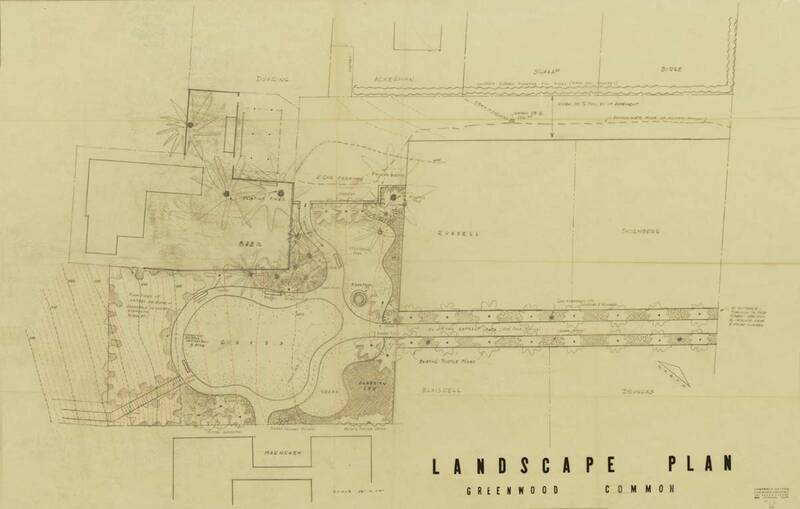 Greenwood Common maintains a landscape committee staffed by residents that adheres to a master plan initially authored by Halprin, with updates made by Arbegast during the 1970s and landscape architect Patricia O’Brien during the 1980s. Decisions regarding the landscape are informed by the original vision for the site as well as the evolving needs of the residents. 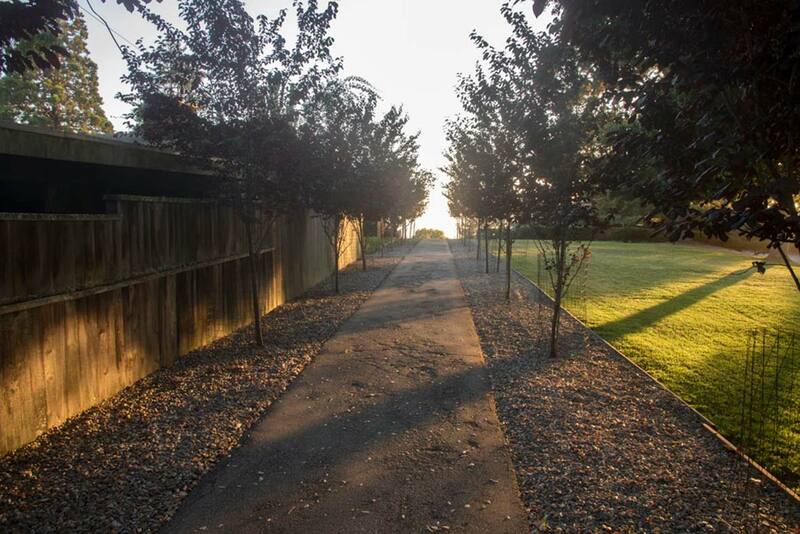 Approved alterations over the years have included a fence along the road, and both the removal and the planting of trees. 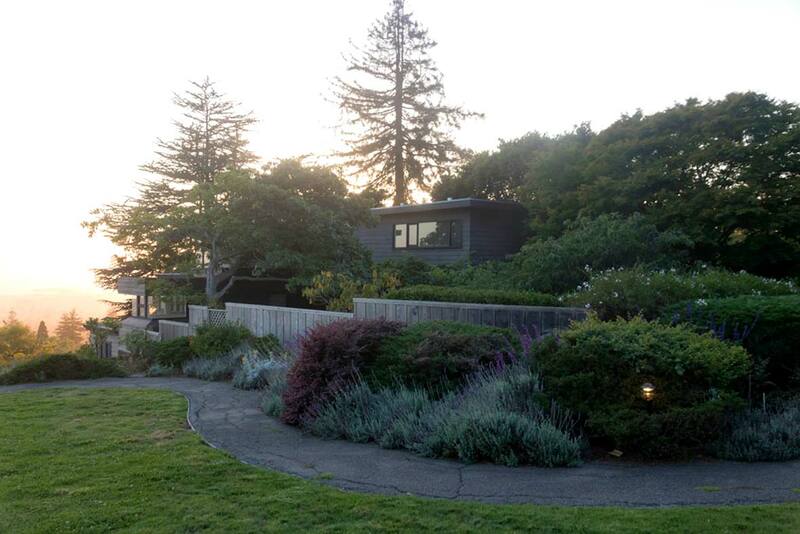 The central shared lawn remains intact, as does an allée of plum trees that was originally designed by Halprin and has been replanted over the years. 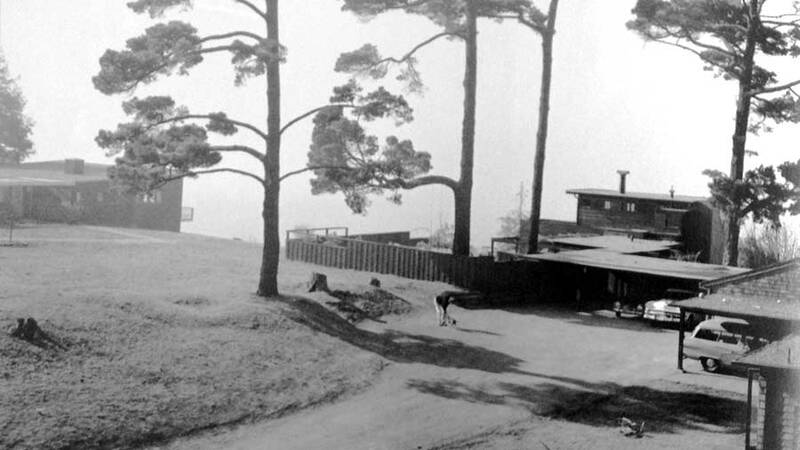 While Greenwood Common is not yet listed on the National Register of Historic Places, it was designated a local landmark in 1990 (Berkeley Landmark #133) during a campaign to prohibit new owners from adding a second story to one of the residences. Halprin voiced support for the designation during the nomination process. The listing resulted in restrictions that limit alterations to properties that impact the character of the subdivision. Living Modern: a Biography of Greenwood Common was published in 2009 by William Stout Publishers. Written by Waverly Lowell, Curator of the Environmental Design Archives at the University of California at Berkeley, the book is organized into three parts, with the second part devoted to a discussion on Halprin’s role in the origins of the small subdivision and his lasting impact on the landscape. His influence is on the property is widely recognized and highly valued by both the historians who have studied the site, and the residents who have lived there over the years. Lowell leads regular tours of the site for students in the Berkeley College of Environmental Design. Finally, the site is recognized by DOCOMOMO as a model residential enclave, where both the landscape architecture and architecture are designed in a creative and regional Modernist style. Since the property’s historic and design significance are not in question, it seems a likely candidate for future listing in the National Register of Historic Places. 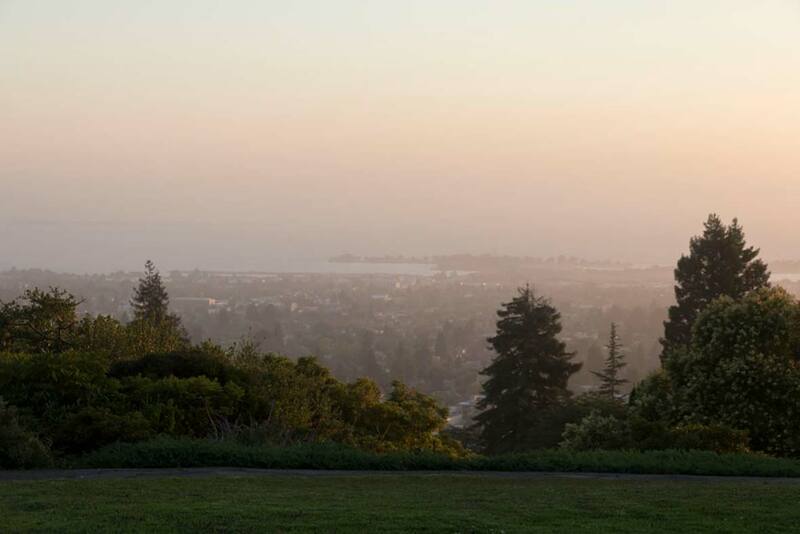 Osmundson is a landscape architect and fine art photographer based in Oakland, California. As a photographer, he produces both black & white large format images and color digital images. His work includes architecture, landscapes, railroads, and other industrial subjects, exhibiting a strong element of time and history. He is experienced at applying the HALS, HABS, and HAER standards to imagery, and has negatives on file with the Library of Congress.